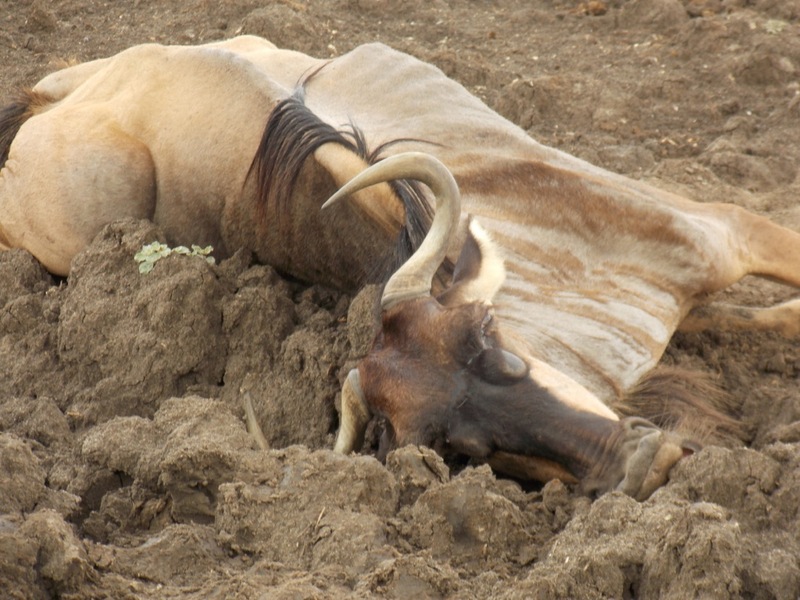 It is looking dry and brown everywhere, water is becoming hard to find for some animals, the grass is becoming drier and drier which makes life harder for the animals here in the Selous but still some animals manage to survive waiting for the short rains anytime from now. The elephants by being mixer feeders manage to dig for water in the dry river bed, life is not that bad for them. We still hope for rain and can see clouds build up every day, which is a good sign. Although it is still dry it is time for the antelopes like Bushbuck and Impala to deliver their babies. 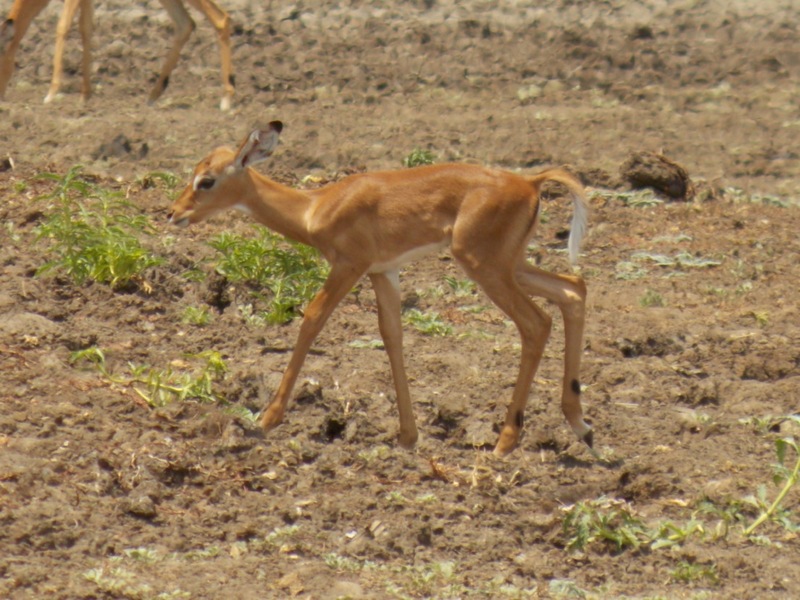 My first sighting of a baby Impala was around Lake Manze, looking stunning but still not strong enough to run fast which makes them easy prey for some predators. On one of my game drives with Michelle we saw Hyena chase a baby Impala for a short distance and catch it very easily, Wildebeest lay down without any sign of a fight when being attacked by predators, it not such a pleasant thing to watch but it is how nature is, according to natures law ‘survival is for the fittest’. 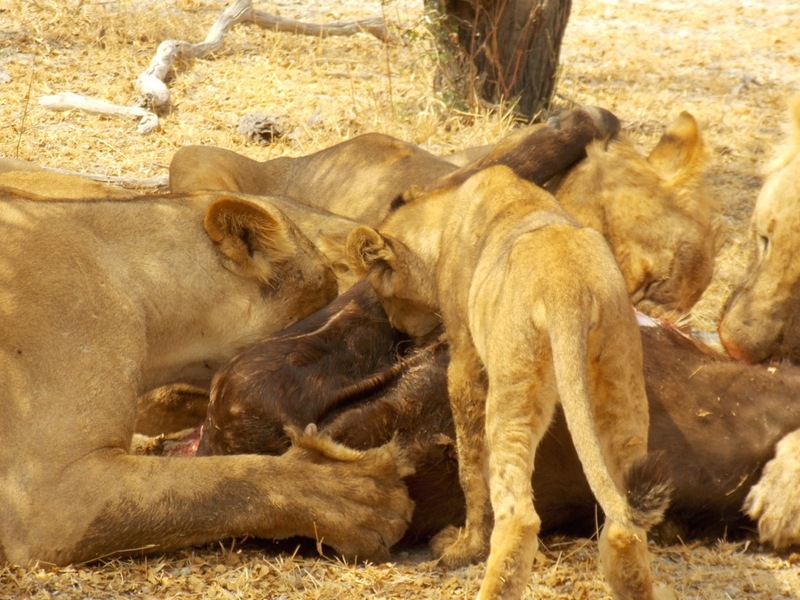 Having baby Impala means it is also time for the Wild dogs to come out with their puppies. Wild dog puppies come out after two months, at this age they can manage to move around with the adults but they cannot hunt until they are more than nine months old. 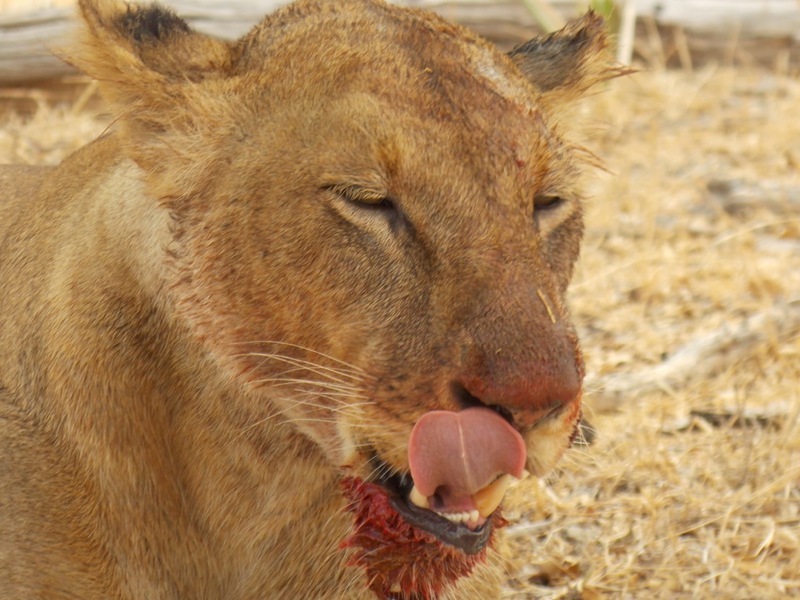 Another sight for this week was a new pride of Lion at the Beho Beho River, two Lioness and three cubs and a Jackal at the airstrip. Fred, our resident Bushbuck is still around and doing great, a few days ago he brought his girlfriend to have a sip of water at the main camp area. Big herds of Buffalo come everyday to drink water whether at our waterhole or at the Msine River. The Tagalala pride [Black Panther] is still there and has been for almost three months now. Big herds of Buffalo and Wildebeests go down to drink at the lake which is one of the reasons they have stayed in this one area for a long time. 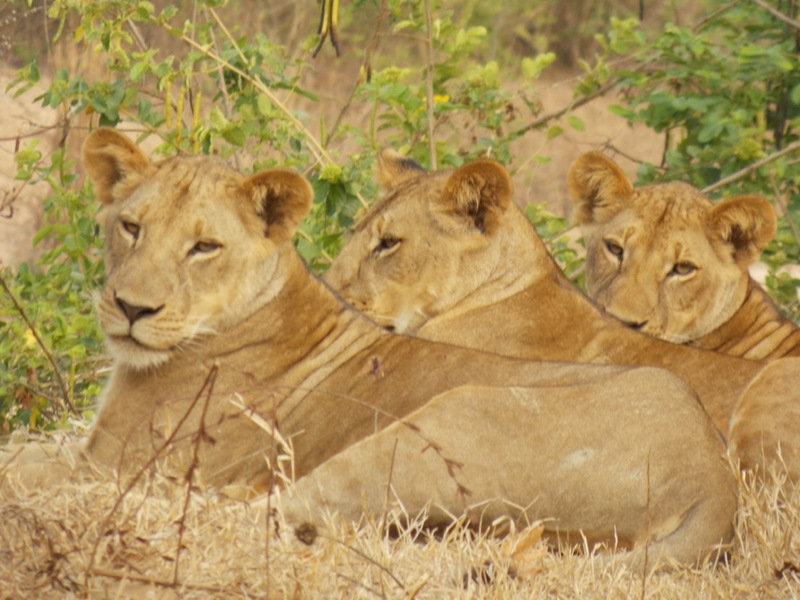 This entry was posted in Godlisten, Wildlife and tagged Beho Beho, camp, Godlisten, lions, safari, selous. Bookmark the permalink.